My Kennedy is a TRUE "egg head". She has become quite obsessed with watching the "surprise egg" videos on Youtube. Not only does she enjoy watching the videos but she LOVE LOVE LOVES anything egg related. You should see her stash of plastic eggs. They are taking over my house. 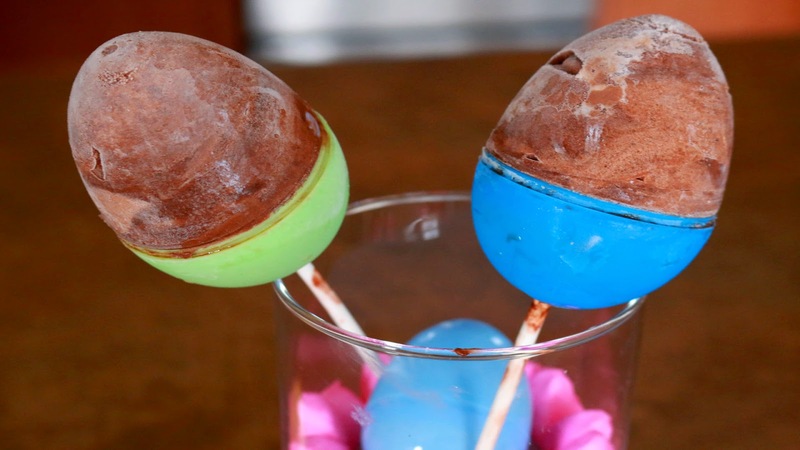 So, I just HAD to try the Pudding Pop Surprise Eggs this week. These were pretty good. I felt like a kid again (sorta). Anyone remember Jello Pudding Pops? I miss those :/ The kids enjoyed them! I used the large eggs. Next time I would definitely use the "regular" size. I think that would be a more appropriate amount of pudding for the kids. Be VERY careful when drilling those holes! I only broke 6. Don't forget to tape up the holes on the top egg piece! You don't want the pudding coming back out.